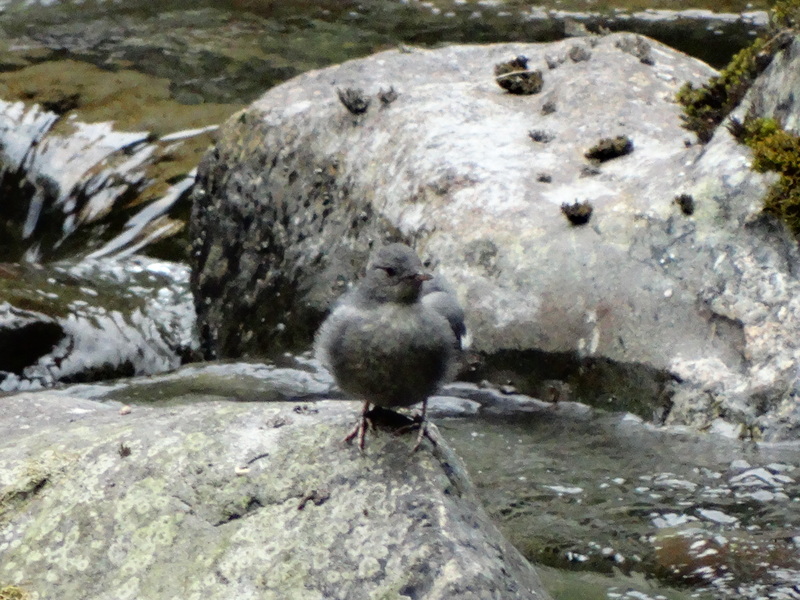 I was amazed that we drove way into the woods and our guide, Bob Sundstrum, knew right where to find an American Dipper in the stream below the road. 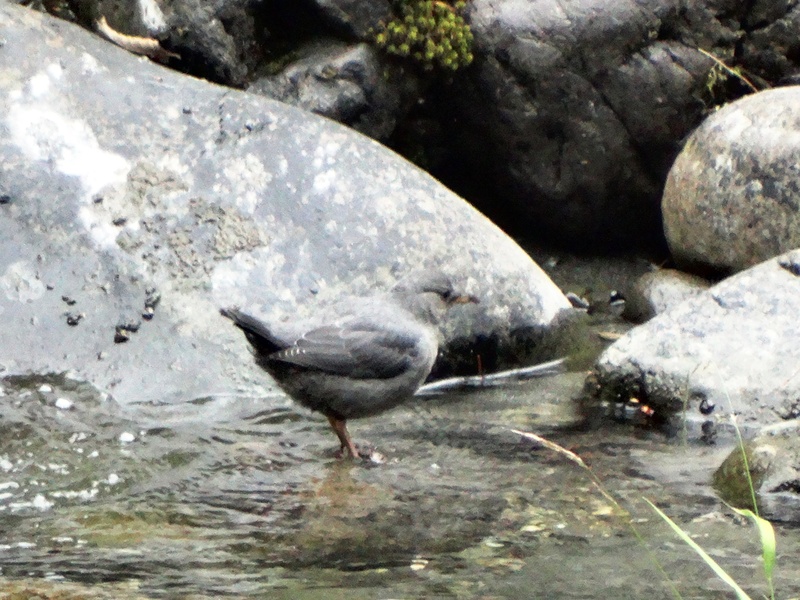 While this is not a colorful bird, it stands out in its ability to wade and swim underwater in mountain streams to feed. Such a cute little guy! New to me! 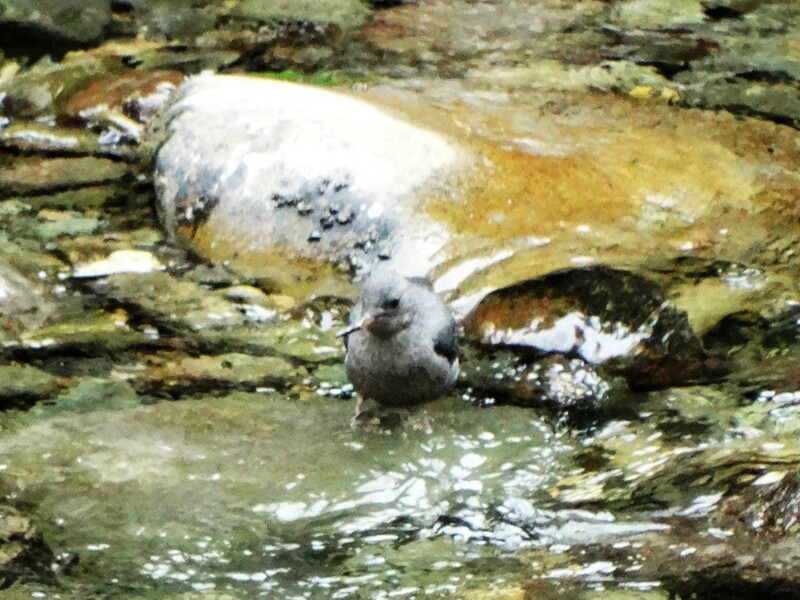 Here are some birds that made my Life List. 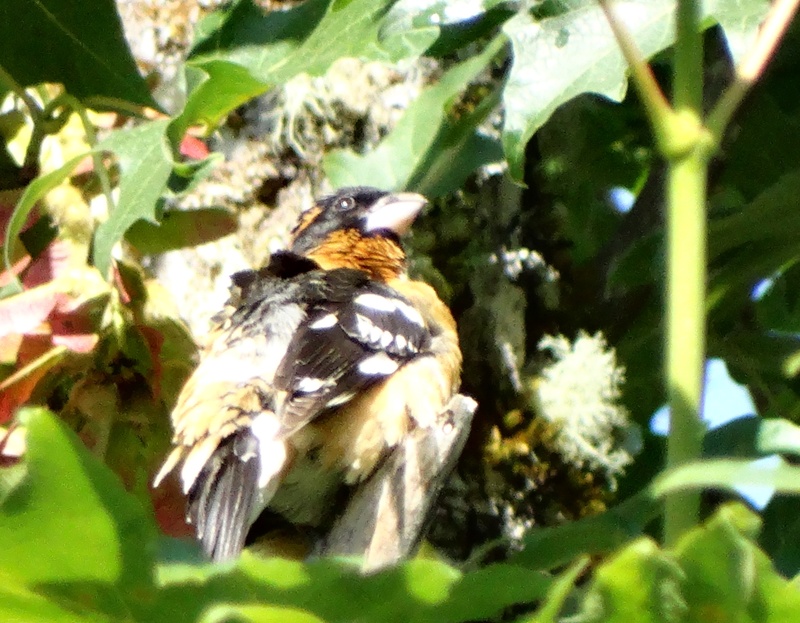 These birds are the female and male Black-headed Grosbeak. 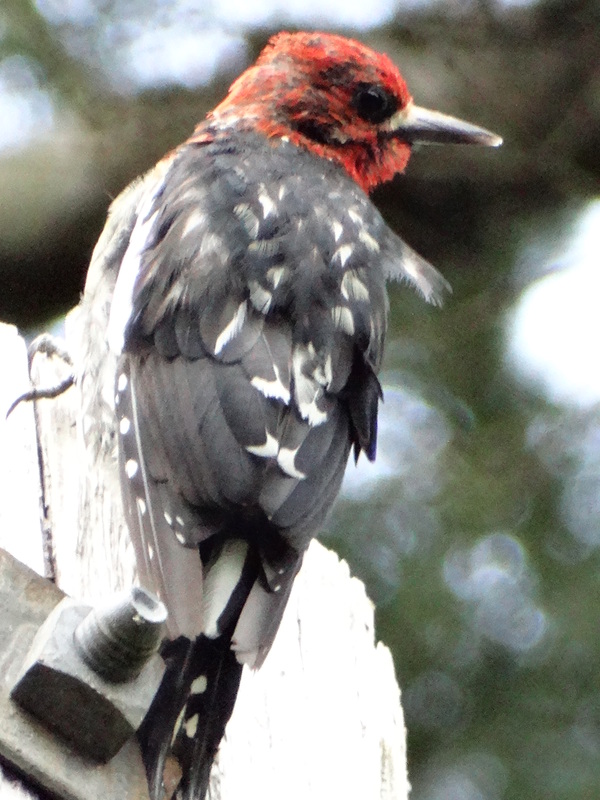 The male was preening his feathers, so he looks a bit ruffled! Author mattzeitPosted on July 29, 2014 July 29, 2014 Categories Uncategorized1 Comment on New to me! Here are some birds that made my Life List. Matt and Tricia’s wedding trip to Maine also includes a trip to see the Atlantic Puffins. 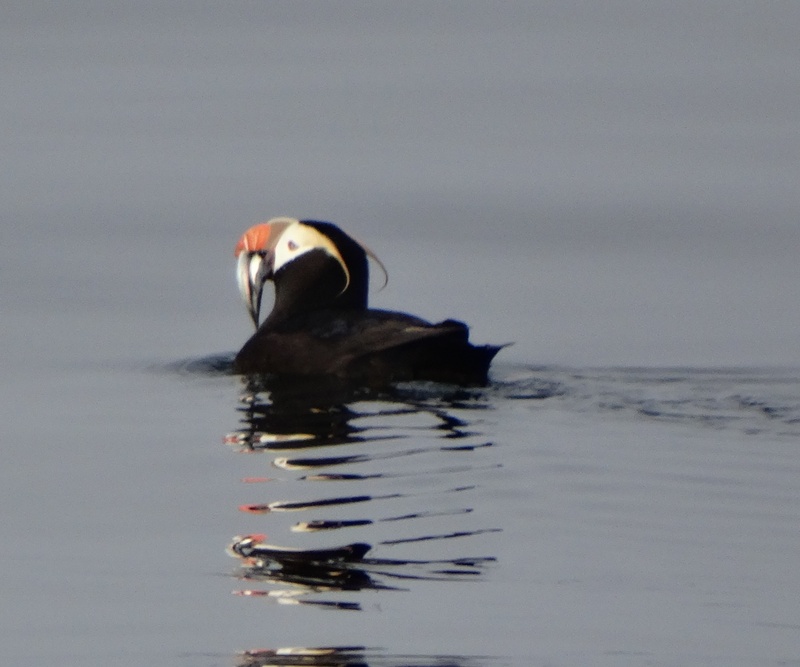 So in honor of their wedding, I am sharing the Tufted Puffins that I saw in Washington State. 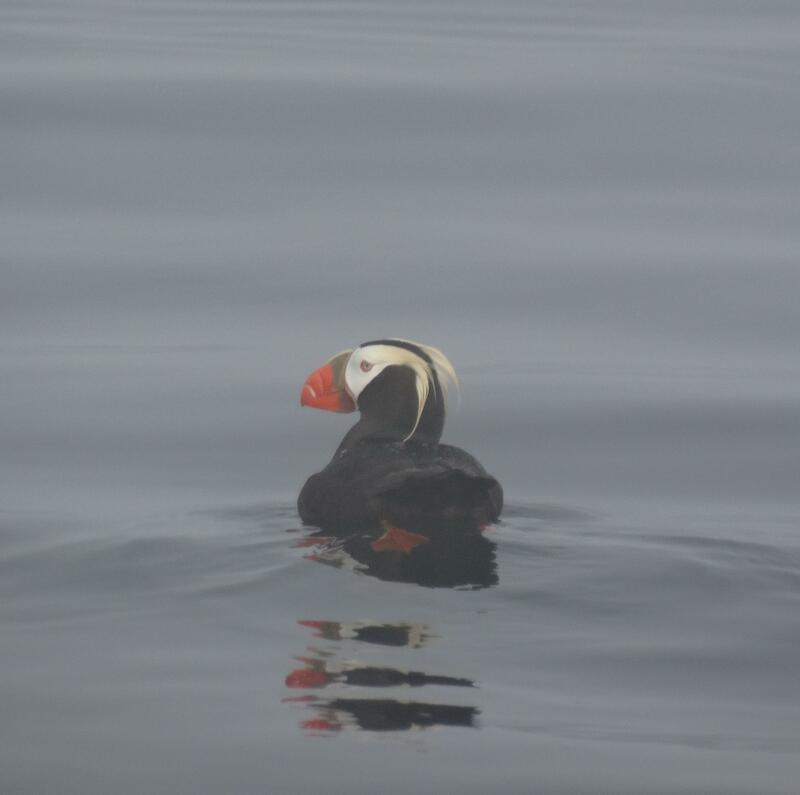 I hope this posts brings them luck in their quest to see Puffins and all the best for a happy marriage. 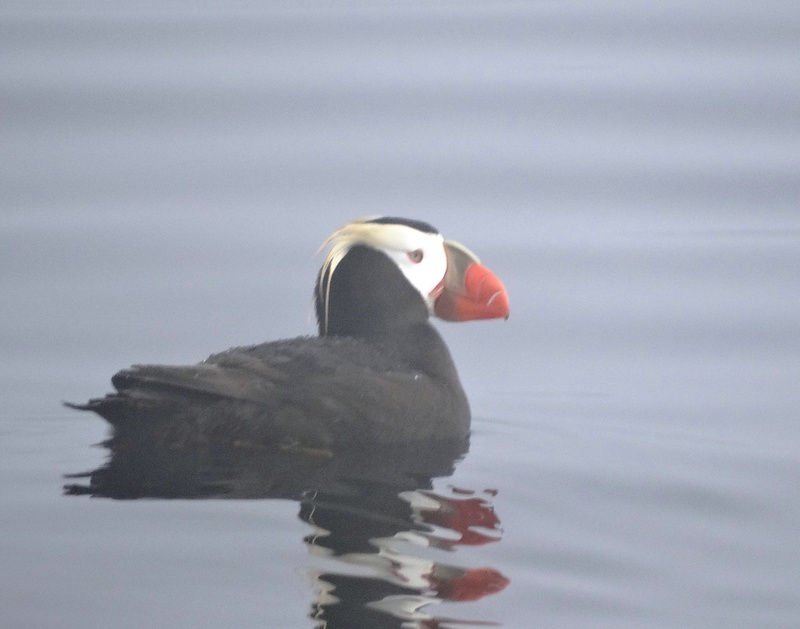 These birds seemed to appear on the water out of the morning fog. I decided to keep the fog in some of the pictures just because it’s reminiscent of it rolling across the bay in a way that was almost eerie. The first Puffin caught a small fish for breakfast These birds were definitely the highlight of the day! Tomorrow morning I am going on a two week vacation to Maine, where Tricia and I will get married! I’m not entirely sure if I will be posting while I’m gone, but it’s not likely. In the meantime, KAREN MILLER will be doing some guest posts. 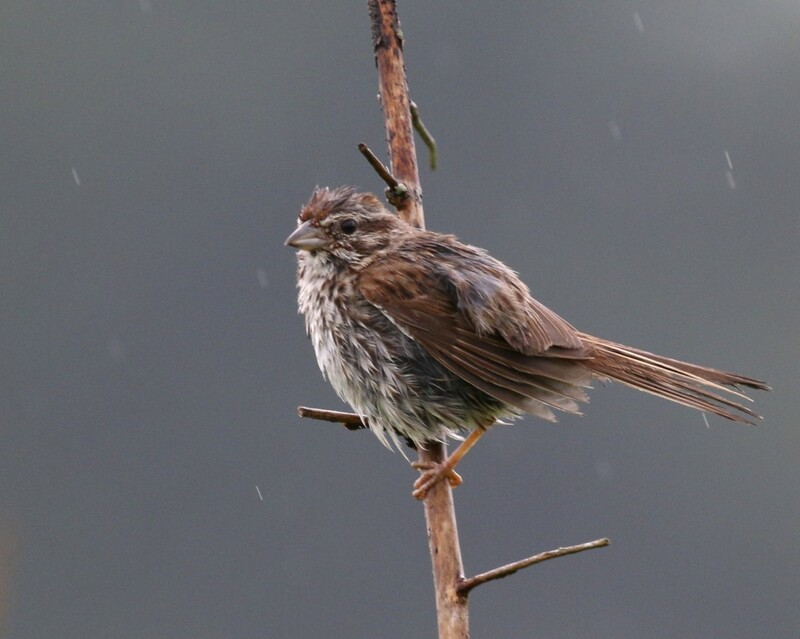 Right now she is on a birding trip in Seattle, so I look forward to seeing what birds she had while she was out there. Huge thanks to Karen – can’t wait to see your posts! Author mattzeitPosted on July 25, 2014 Categories Uncategorized10 Comments on VACATION! 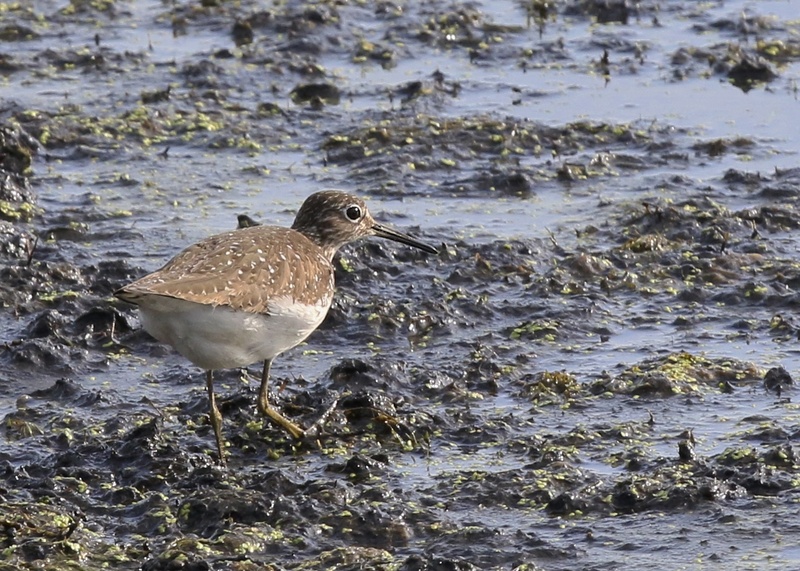 This Solitary Sandpiper was the only shorebird close enough for decent photos. Liberty Loop, 7/24/14. A distant shot, but I have these birds as (from left to right): Killdeer, Pectoral Sandpiper, and (2) Least Sandpipers. Liberty Loop at Wallkill River NWR, 7/24/14. 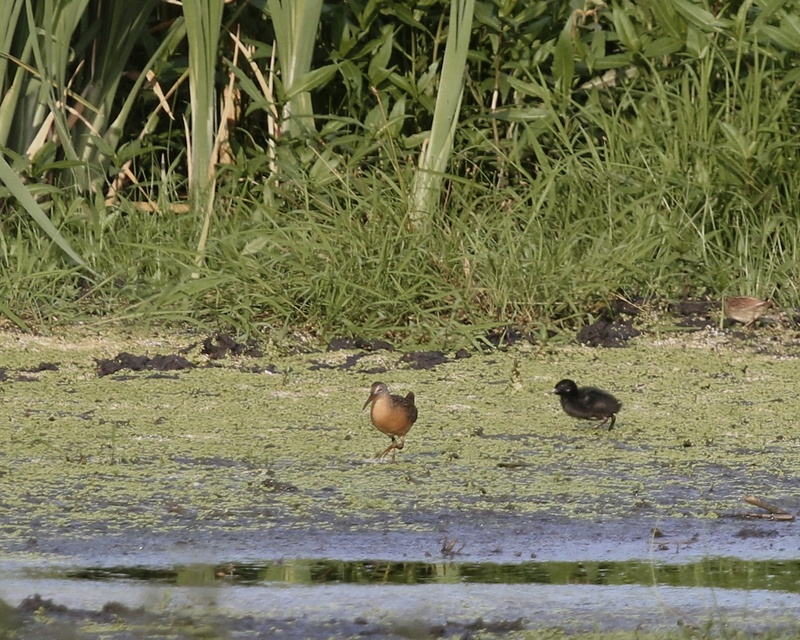 I came and went via Owens Station Road in hopes of finding these Virginia Rails (with chick!). Another distant photo, but great to see – this was my best look at Virginia Rail yet. Thanks to Linda Scrima and Maria Loukeris for giving me the heads up. 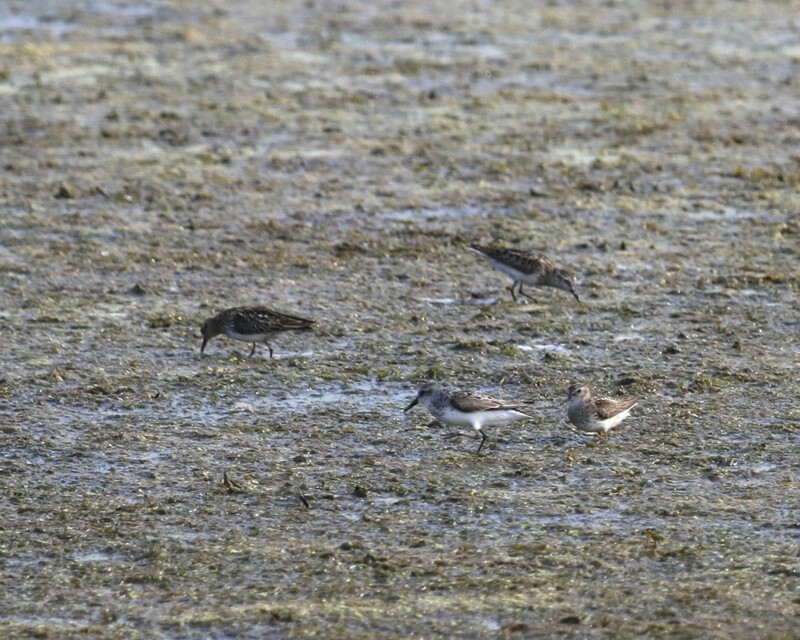 Least Sandpipers in flight at the Liberty Loop this afternoon, 7/23/14. One of 48 (!) 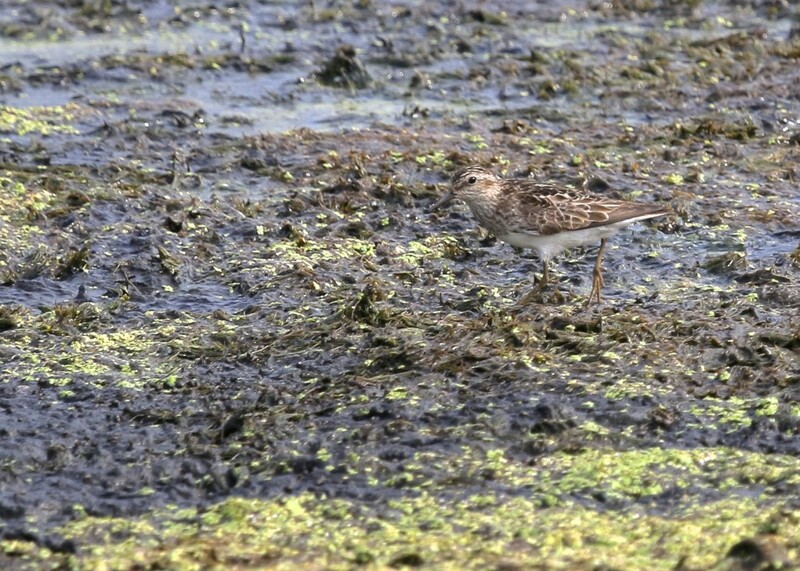 Least Sandpipers at Wallkill River NWR, Liberty Loop, 7/23/14. 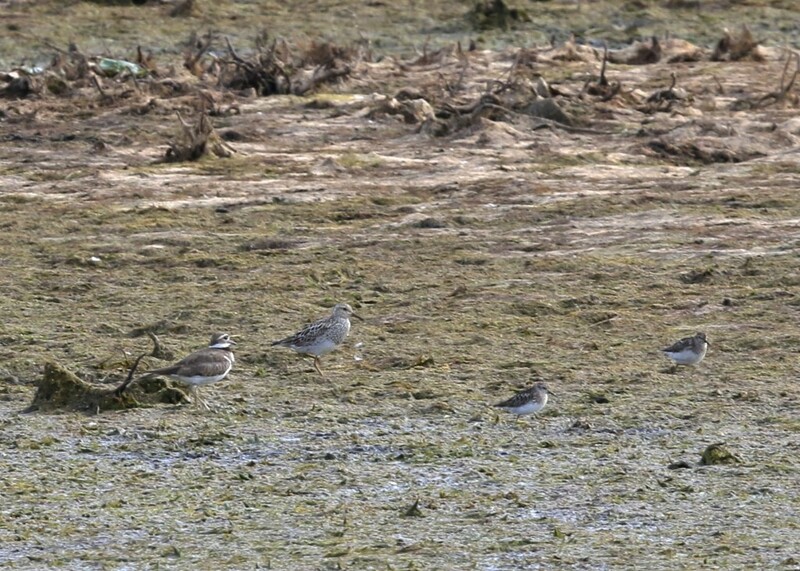 I have these as three Least Sandpipers with one Semipalmated Sandpiper (closest to front center). Liberty Loop, 7/23/14. 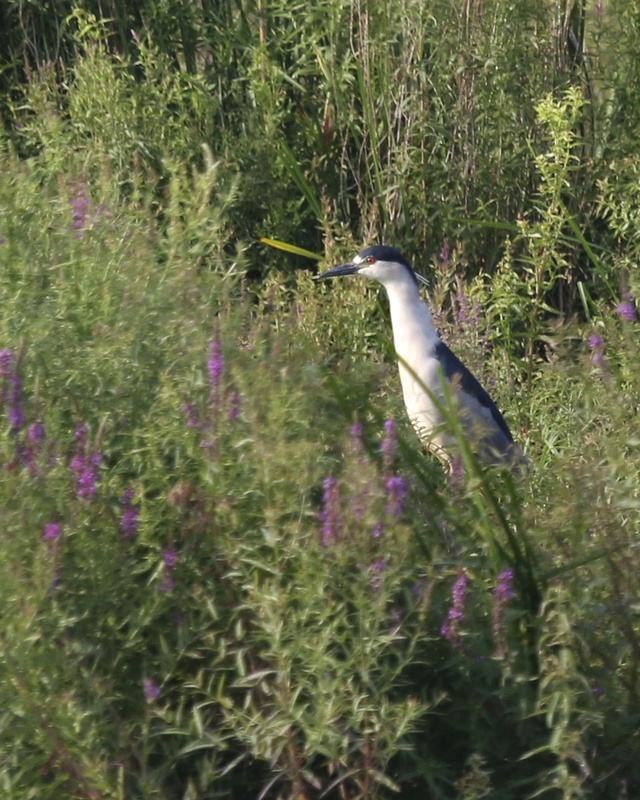 My FOS in Orange County Black-crowned Night Heron. 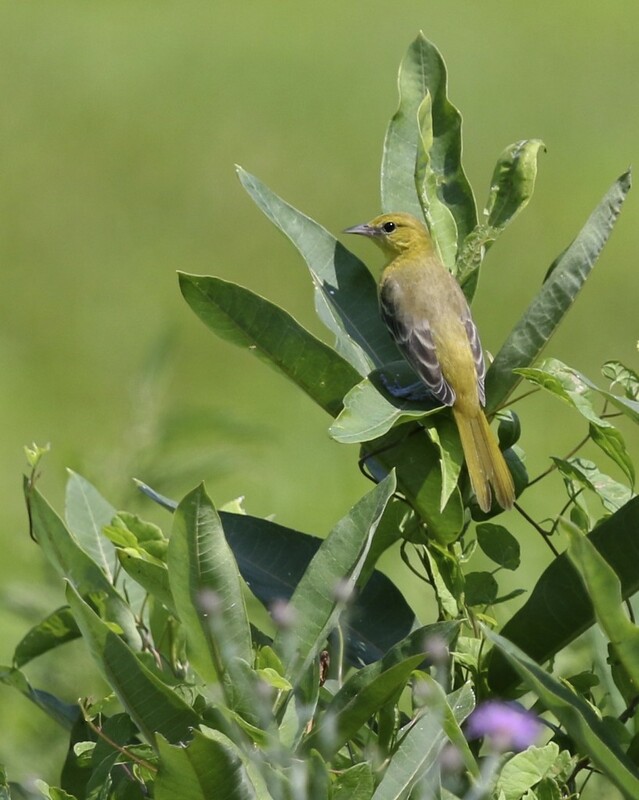 Wallkill River NWR, 7/21/14. I had two sets of birding plans for this morning that were foiled. 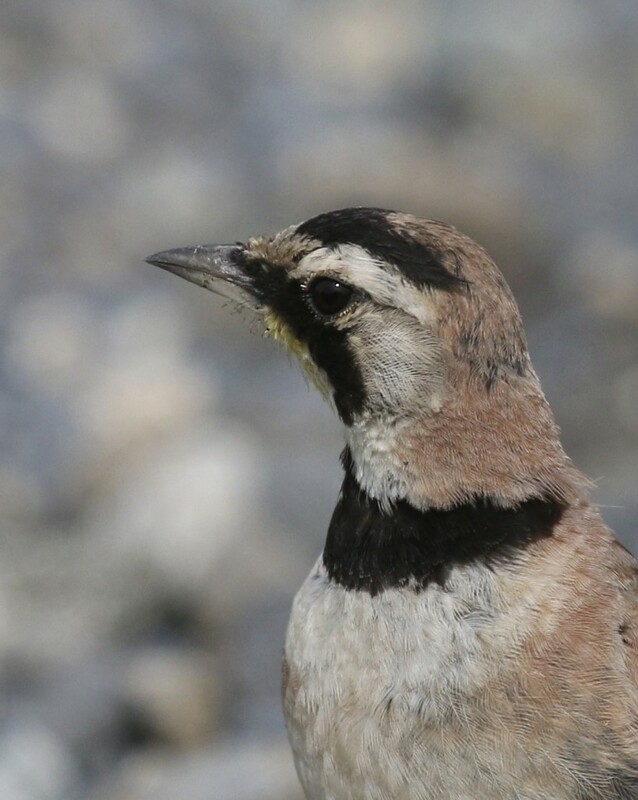 I was initially going to go down to New Jersey to chase the European Golden-Plover that had been reported, but all the reports I read and received indicated that it was likely that this bird had moved on. 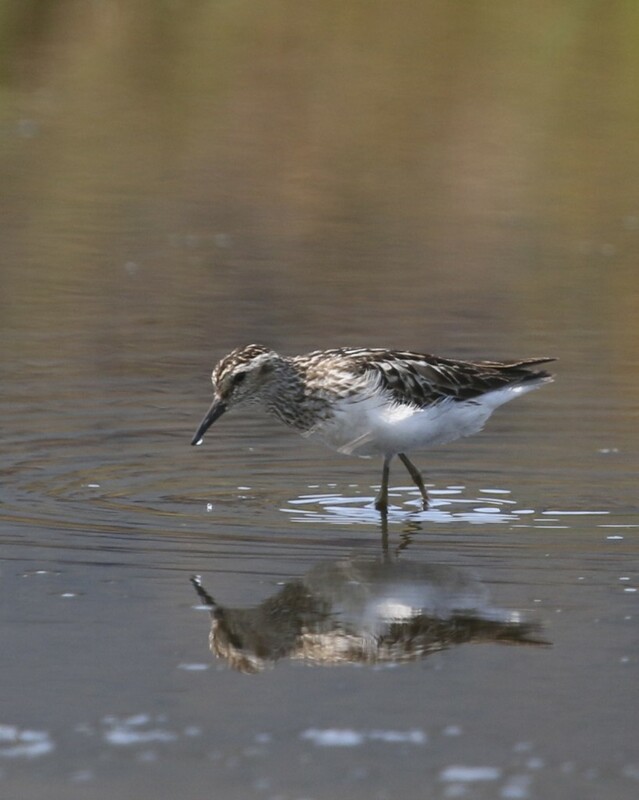 My second plan was to get out to Sullivan County with Linda Scrima to try for the Stilt Sandpiper that Karen Miller found yesterday – you can read about it at the Bashakill Birder. 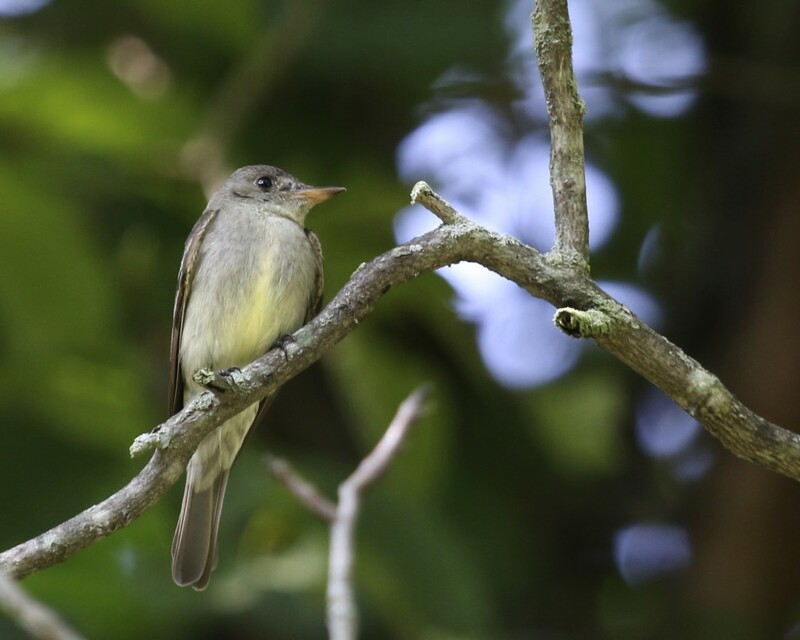 That plan was cut short with a couple of phone calls this morning from John Haas, letting me know that the bird had not been relocated. With a change of plans, we decided meet up with Maria Loukeris and walk the Liberty Loop at Wallkill River National Wildlife Refuge. What a good decision that turned out to be; it was a very active morning with wading birds stealing the show. It started with Linda locating a BLACK-CROWNED NIGHT HERON from the viewing platform moments after our arrival. This was my FOS BCNH in Orange County so that was a bonus for me. In the distance we could see three Great Egrets in flight and as we began to walk the loop, it was apparent that Great Blue Herons were present in numbers. We eventually caught up with the egrets and they were quite accommodating, allowing for many photos. I am not thrilled with my results, but still it was great to see them. 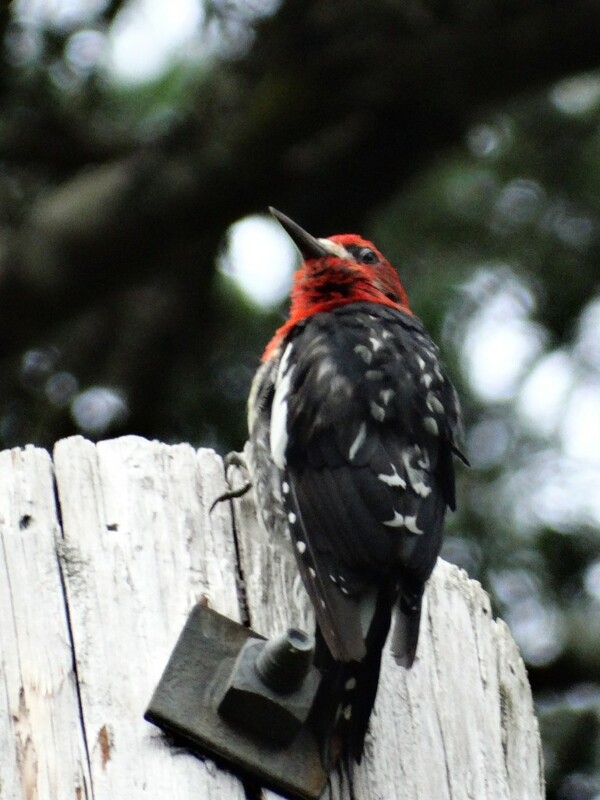 I love how thin this bird looks from this perspective. 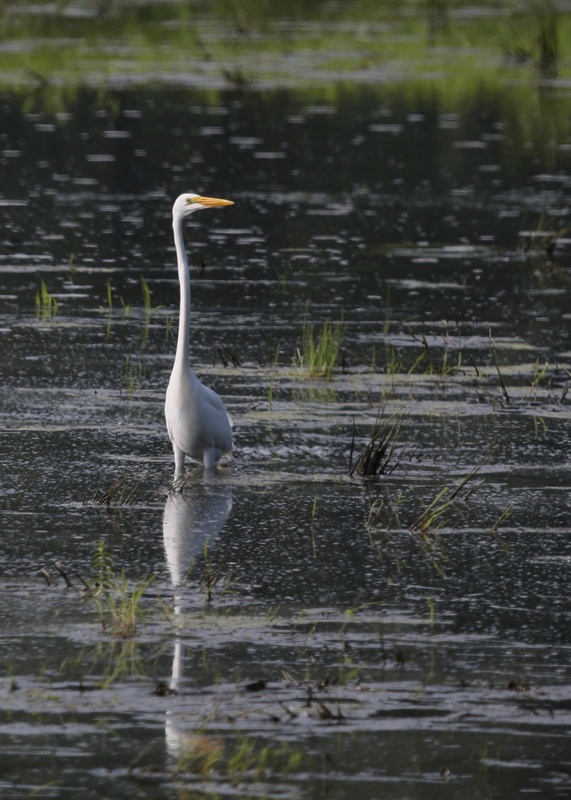 Great Egret at Wallkill River NWR, 7/21/14. Deuces wild! 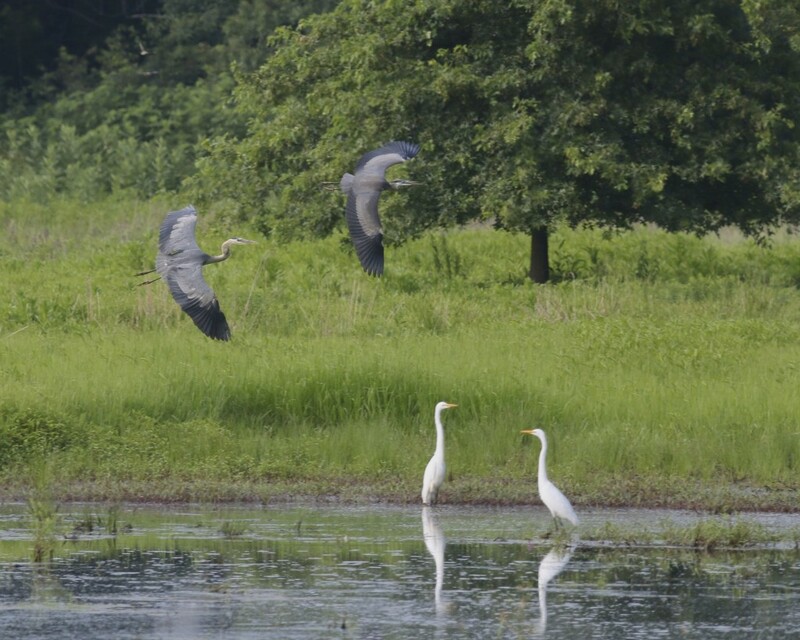 Two Great Blue Herons fly over two Great Egrets. Wallkill River NWR, 7/21/14. 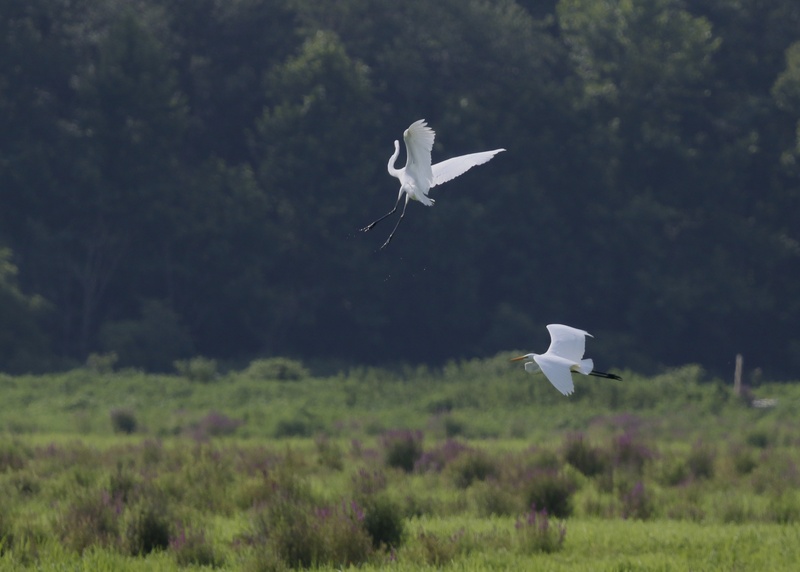 A pair of Great Egrets in flight on the Liberty Loop, 7/21/14. 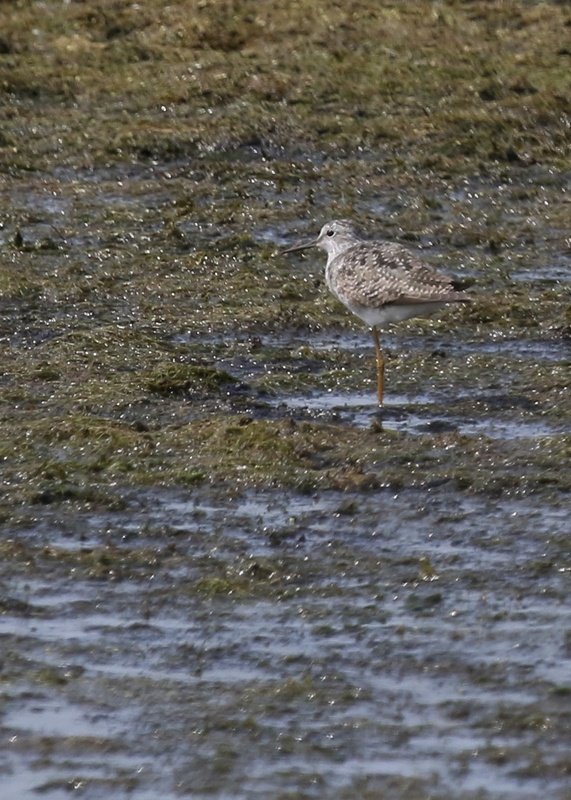 One of three Lesser Yellowlegs at Wallkill River NWR, 7/21/14. 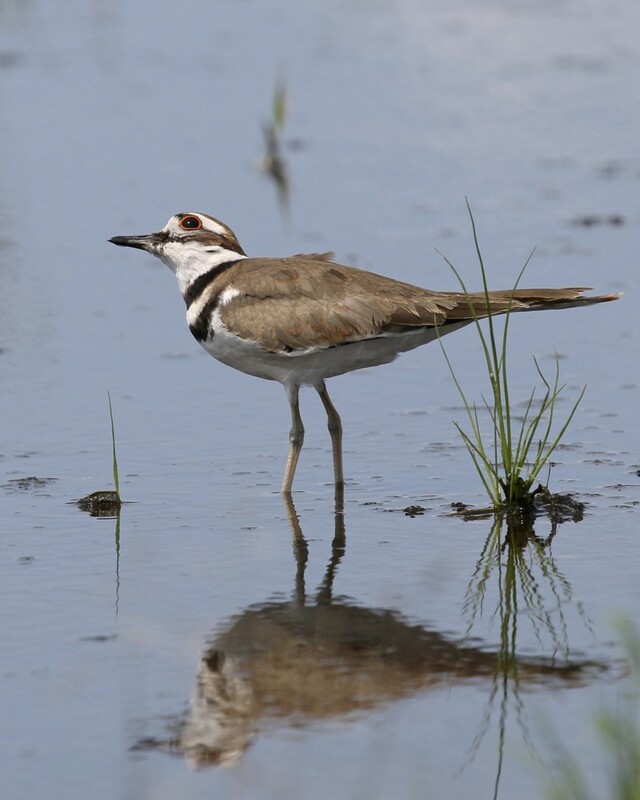 It was exciting to see that some shorebirds are moving through and it was a great morning of birding with a large variety of species being seen and heard – we had 47 birds on our list for the walk. We had many Orchard Orioles while we were out. Wallkill River NWR, 7/21/14. 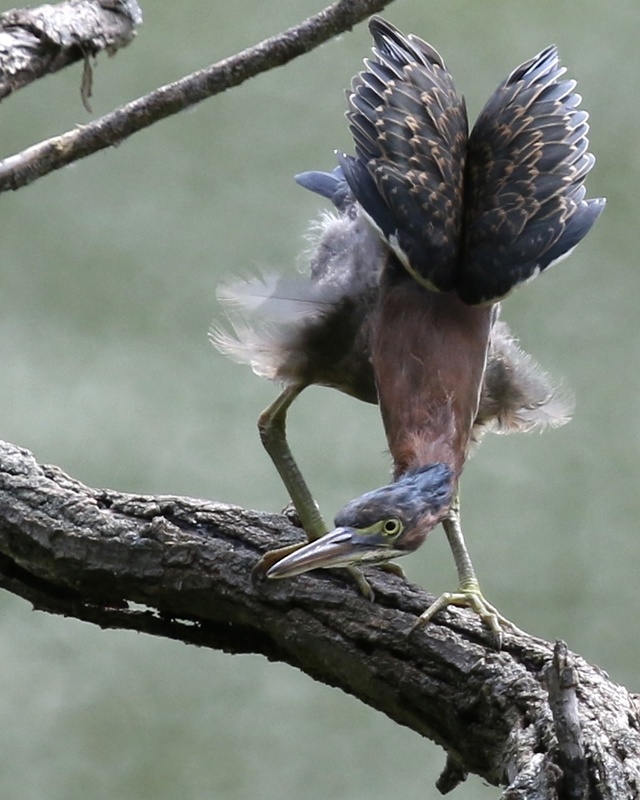 A Green Heron strikes a pose at Denning’s Point in Beacon NY, 7/20/14. I don’t normally crop this tightly, but it seems to hold up for me with this shot. 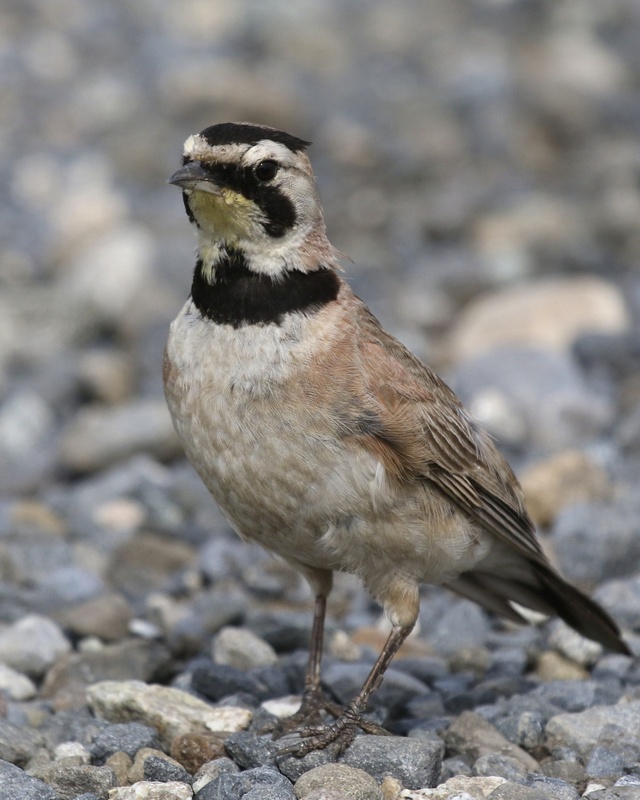 Horned Lark in the Black Dirt Region, 7/16/14. HOLA in the Black Dirt, 7/16/14. 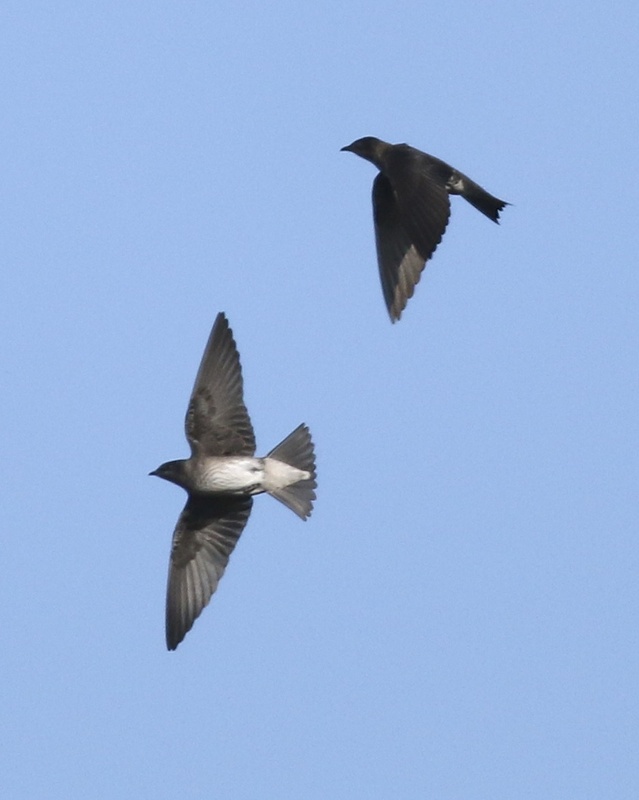 Purple Martins in flight overhead at Stewart Forest, 7/17/14. COYE at Stewart Forest, 7/20/14. 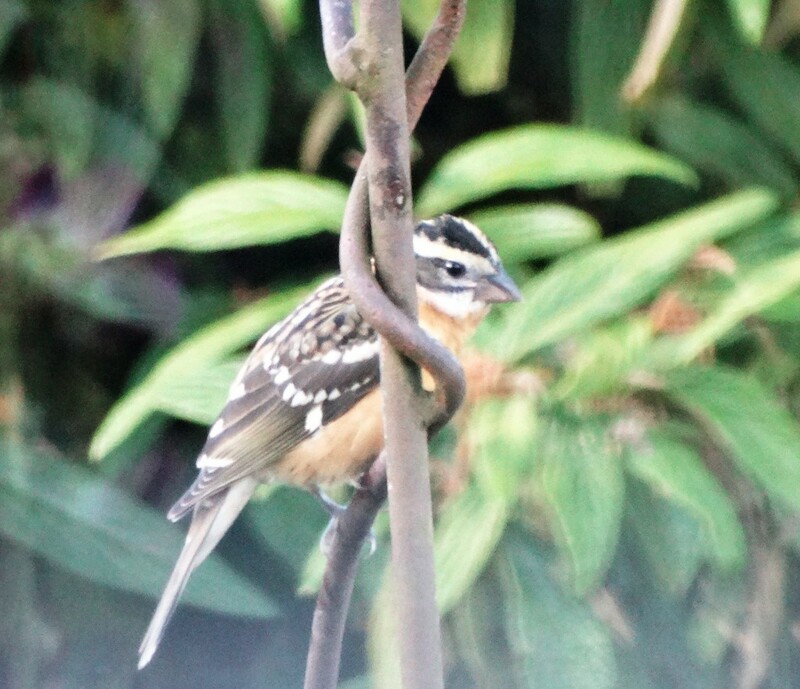 Eastern Wood Peewee, a bird that I don’t get many photos of. Stewart Forest, 7/20/14. 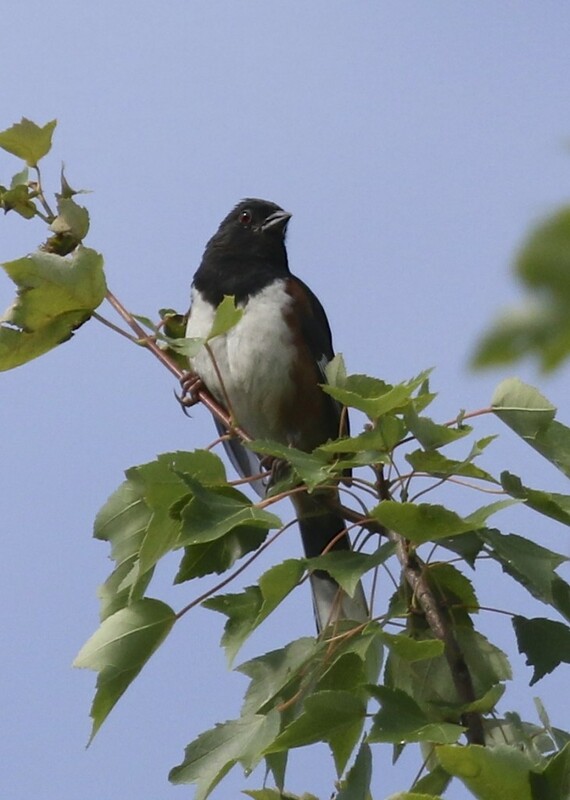 Eastern Towhee in the tree tops at Stewart Forest, 7/20/14. 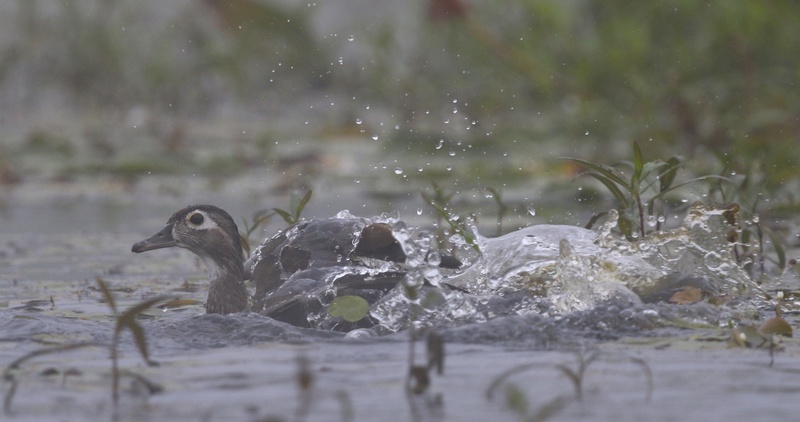 I flushed this (and many more) Wood Duck while kayaking the Bash in the early morning fog. The fog was so thick that it pretty much prohibited any good photos for most of the morning. Later this week, however, I will be posting a series of Great Blue Heron shots taken as the fog started to lift. Least Sandpiper in Sullivan County, 7/18/14. This Killdeer kept looking skyward, I’m not sure why. Sullivan County 7/18/14. 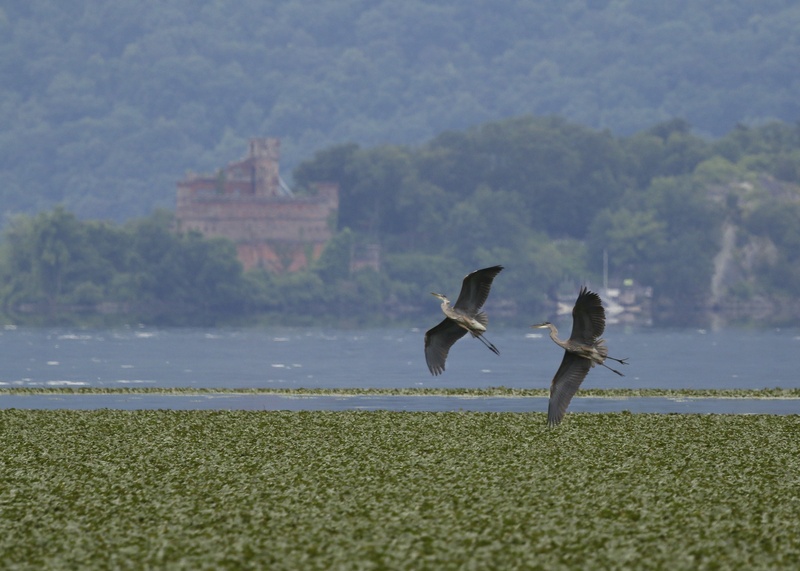 Two Great Blue Herons spar just off of Denning’s Point, with Bannerman Island Arsenal in the background, 7/19/14. 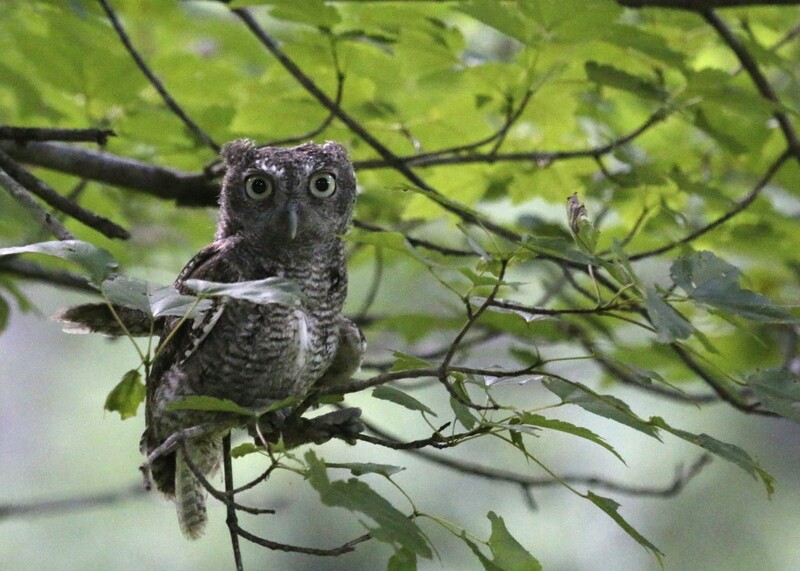 An Eastern Screech-owl seems to be waiting for its eyes to adjust to the light before being released. Warwick, NY 7/18/14. 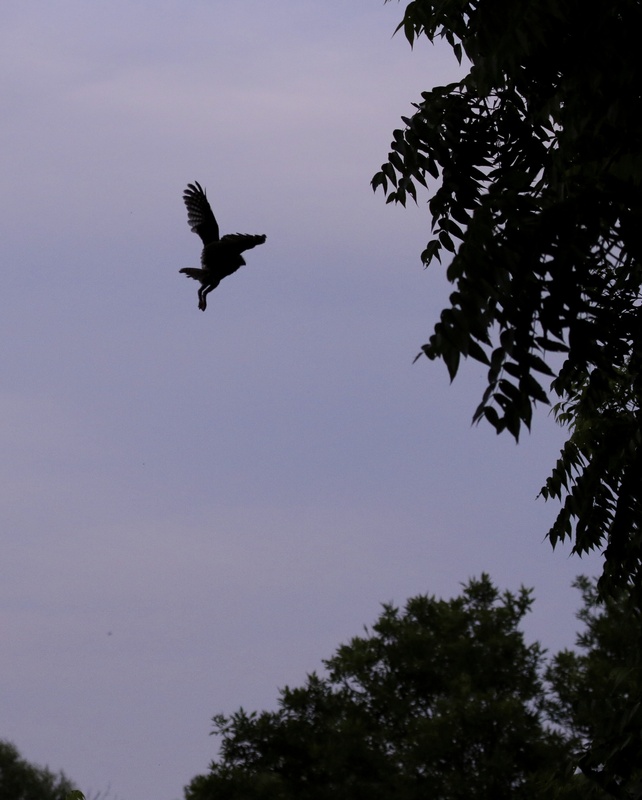 The EASO was out of the box before I knew it, but I did manage one silhouetted flight shot. Tricia faired much better from the other side, getting this shot. The owl perched on a nearby branch for probably less than a minute and then seemed to get its bearings and took off. 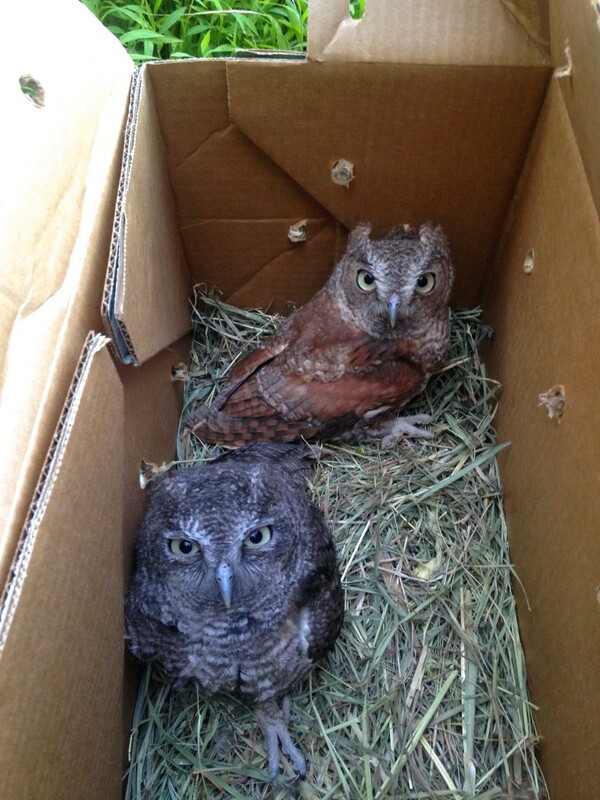 Getting ready to be free again, one rufous and one gray Eastern Screech-owl. 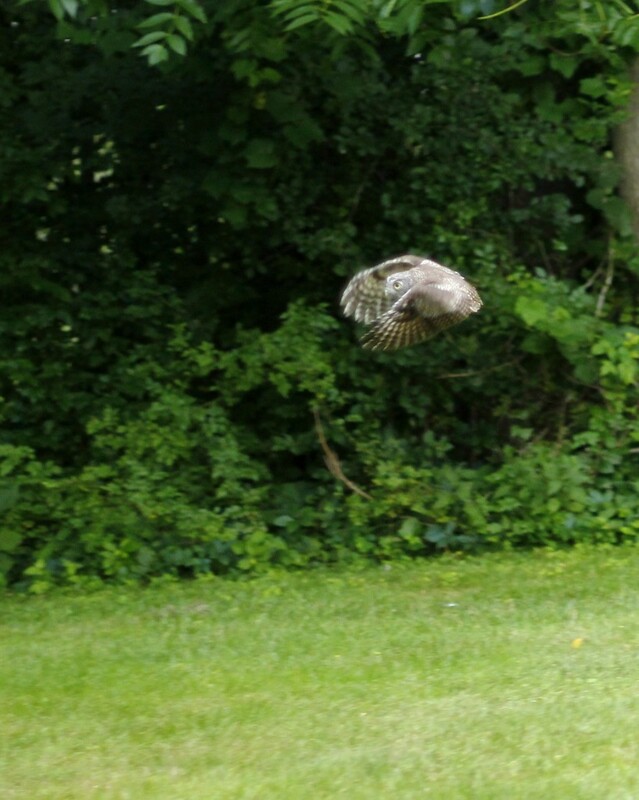 Photo by Carol Linguanti, Warwick, NY 7/18/14. 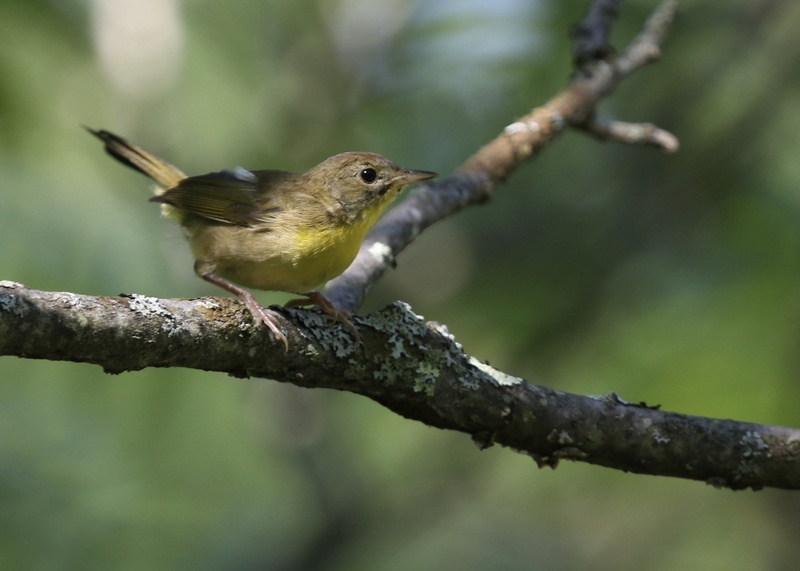 This EASO behaved similarly to the first release, perching nearby for a short period of time before taking off into the woods. 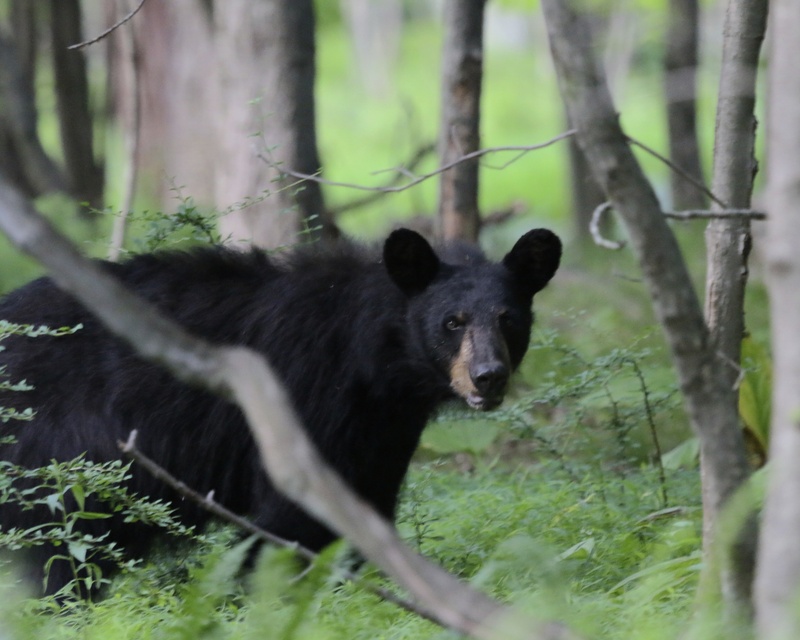 The first bear we saw was relatively small, presumably a young bear. 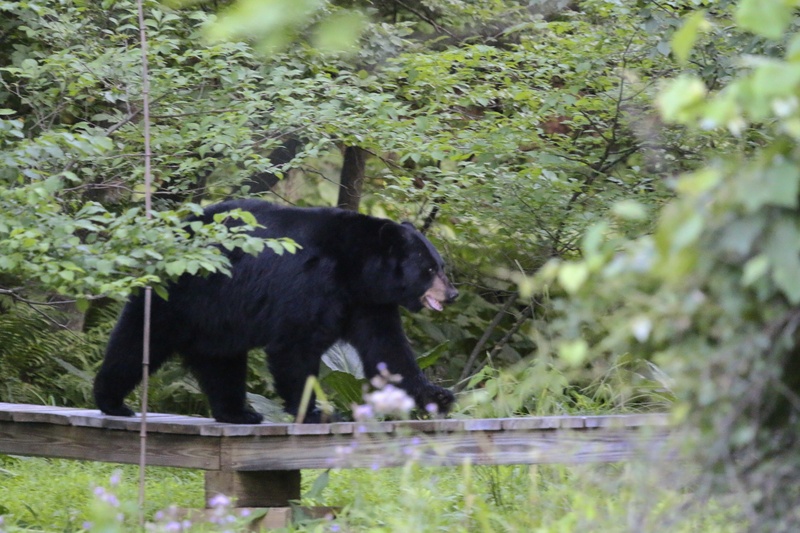 The second bear was huge and Carol’s husband Bobby was very excited when we watched the bear use the bridge that Bobby had built to get over a stream. I really cannot thank Carol enough for inviting me to be part of this. 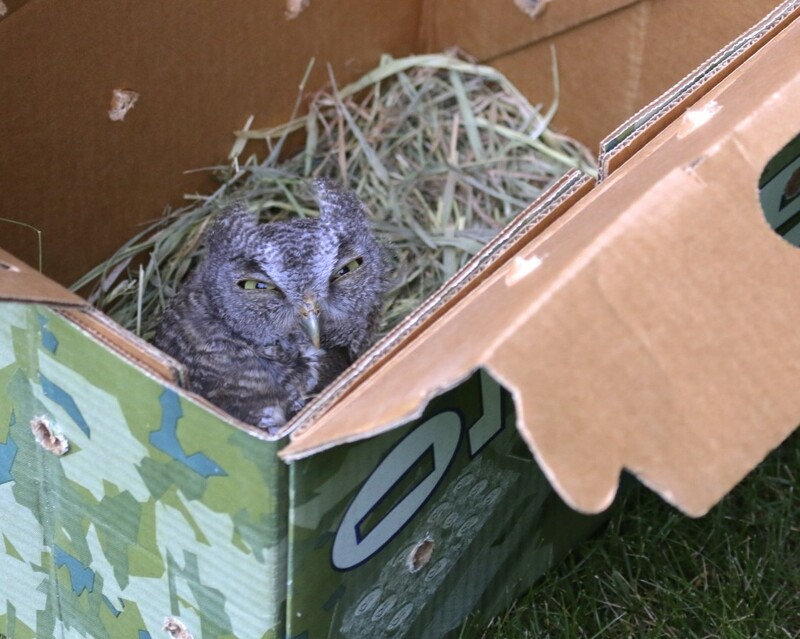 It was so exciting to get to see these owls up close and fulfilling to know that they had been successfully rehabbed and now were back where they belonged. 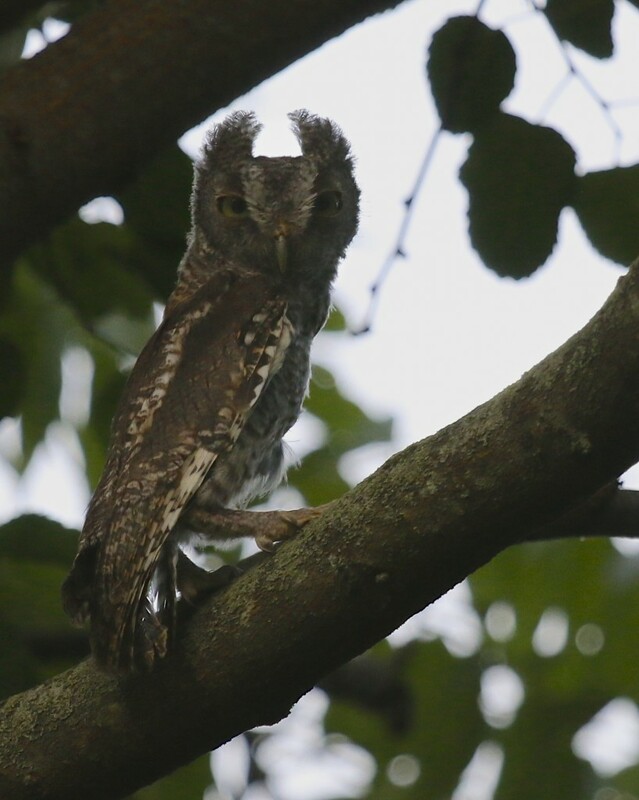 Author mattzeitPosted on July 19, 2014 Categories Orange County, photos, Raptors, Uncategorized6 Comments on Eastern Screech-owl Release! 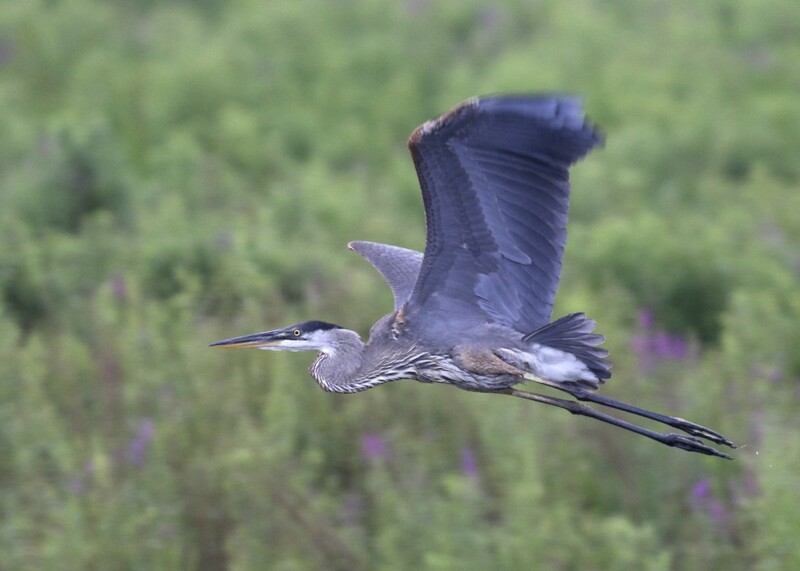 Great Blue Heron in flight, shot from the viewing platform at Liberty Marsh, 7/14/14. Quick Post: Here’s a couple of shots I got yesterday after work during a brief stop at the Wallkill River National Wildlife Refuge – Liberty Marsh. I think this is a young, wet Song Sparrow. Wallkill River NWR, 7/14/14.